Skiers and snowboarders welcome the winter weather but Metro Detroiters with a daily commute often dread the snowy driving conditions. Winter driving can be both frightening and dangerous, especially when ice is present. The best thing you can do is stay off the road until the severe weather passes. But if you cannot avoid traveling, here are some tips on how to stay safe on the road this winter and avoid an auto accident. This may seem obvious. The slower you drive, the less of an impact there will be if a crash occurs. However, one of the biggest reasons for winter accidents is overconfidence in either one’s driving skills or in their vehicle equipment. A driver who starts sliding at a high speed eventually learns that it is something beyond their control – but often learn this too late. There is no car or SUV that can guarantee protection from severe weather, regardless of traction control, 4×4, AWD or antilock brakes. This is especially true in icy conditions. No vehicle or driver is equipped to drive high speeds or even normal speeds on ice. The laws of physics simply won’t allow it. So accelerate and brake slowly and reduce your speed. Also, allow extra time for following distances behind vehicles. First you will want to prepare your vehicle for the winter season. Make sure your tires are inflated and have enough tread. Check your wiper blades and make sure you have plenty of windshield washer fluid in your vehicle. Taking your car in for an inspection can help make sure that every system in your vehicle is functioning properly. For example, your brake system, electrical system and heating and cooling. Next, you will want to plan for winter weather on a daily basis. Make watching the weather report part of your morning routine. There are also many apps that can alert you of weather conditions. Even if you do not see any indication of snow or ice, black ice is not as visible and is the cause of many accidents as drivers do not notice it until their vehicle is already sliding. Pay attention to the temperature. Temperatures at or below freezing can indicate the possibility of icy roads. Remember any small amount of precipitation can create icy roads. 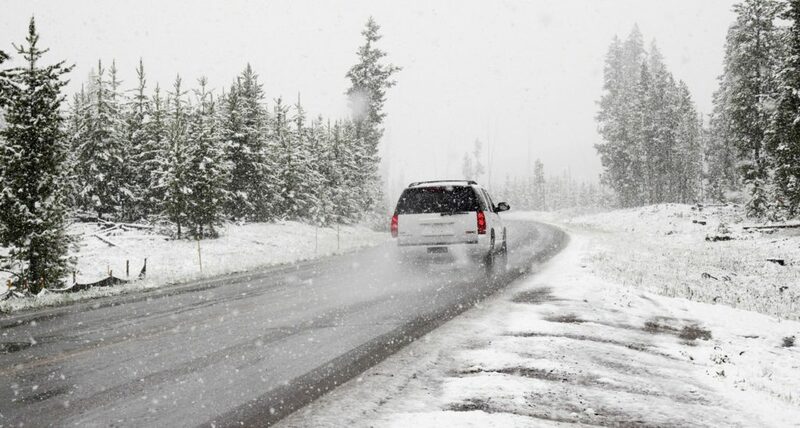 Many fatal accidents occur when there is very little snow or ice. This is because drivers feel confident to travel full speed but they are caught off guard by a small patch of ice. Regardless of how cautious you are, sometimes sliding is unavoidable. The important thing is to know what to do and not panic when sliding occurs. If you find your vehicle is sliding, turn your steering wheel in the same direction that the rear of the vehicle is sliding. Or it may be easier to look ahead and turn into the direction you want the car to go. Both ways of thinking will achieve the same results. Do not brake. You may immediately feel the impulse to put your foot on the brake but this will only make it harder to regain control. Pole Position Auto Body has been serving the Metro Detroit area for nearly 29 years. We are located in Warren, Michigan just minutes away from Roseville, Centerline and Detroit. If you are involved in an accident, the last thing you need is to worry about who you can trust to repair your vehicle. Let our highly trained technicians and state of the art color matching system get you back on the road quickly and stress-free. We have a proven track record of providing high quality repairs nearly 3 days quicker than the average facility.